Memorial Hermann Medical Group (MHMG) Southeast Medical Associates provides highest-quality primary care for patients in southeast Houston. Our specialists in family medicine and internal medicine focus on precise diagnosis and up-to-date treatment, but the heart of our practice is caring and empathetic relationships with patients of all ages – newborns to seniors. 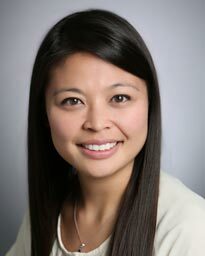 Dr. Jeannie Banh graduated from the University of North Texas Health Science Center and completed her residency at Memorial Family Medicine Residency Program in Sugar Land, Texas. Fluent in English, Spanish and Vietnamese, Dr. Banh treats a variety of conditions including diabetes, hypertension, and acute care. She also sees patients for annual physicals and women’s health appointments. 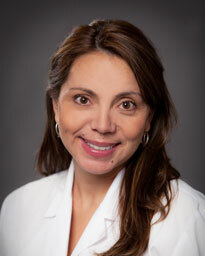 Dr. Angela Carrero earned her medical degree at Juan N. Corpas Medical School in Bogotá, Colombia. She finished residency training in internal medicine at the New York Presbyterian Healthcare System, an affiliate of Cornell University Medical School. Dr. Carrero sees patients 18 years and older and is fluent in Spanish. Her primary clinical interests are diabetes, asthma and hypertension. Dr. Zhihao Dai earned his medical degree at Wenzhou Medical College in China and completed his residency in internal medicine at Lutheran Medical Center in Brooklyn, New York. 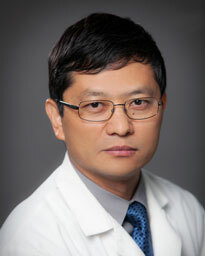 Board certified in internal medicine, Dr. Dai is fluent in Chinese and treats patients 18 years and older. His primary clinical interests are managing acute and chronic diseases and preventive medicine. 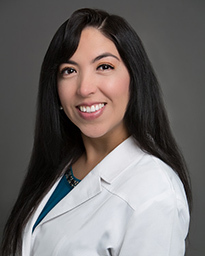 Dr. Eva Salcedo earned her medical degree at St. Luke’s College of Medicine in Quezon City, Philippines, and completed her residency in family medicine at The University of Texas Health Science Center at Houston (UTHealth). 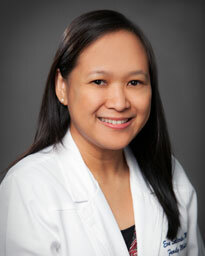 Board certified in family medicine, she and sees patients 18 and older and speaks Filipino and Spanish. Her primary clinical interests include diabetes and geriatric medicine. Dr. Vanessa Recavarren received her medical degree from the Universidad de Chile and completed her residency at John H. Stroger, Jr. Hospital of Cook County in Chicago, Illinois. Board Certified by the American Board of Internal Medicine, Dr. Recavarren sees patients 18 and older for common and complex medical illnesses. Her primary clinical interest is practicing primary care. Memorial Hermann Medical Group Southeast Medical Associates is conveniently located on the Gulf Freeway (I-45 South), between Park Place and Howard Dr., just south of Sims Bayou. The office is across the Gulf Freeway from Glenbrook Park Golf Course and just a short distance from Reveille Park. Memorial Hermann Medical Group Southeast Medical Associates is conveniently located on the Gulf Freeway (I-45 South), between Park Place and Howard Dr., just south of Sims Bayou. The office is across the Gulf Freeway from Glenbrook Park Golf Course and just a short distance from Reveille Park. Surface lot parking is available at the location.